Fish is a traditional part of the Rosh Hashanah meal. Since Rosh Hashanah translates literally as “Head of the Year,” some people will eat the head of a fish as part of the holiday meal, or at least have one on their holiday table. Fish is also a symbol of fertility and prosperity. 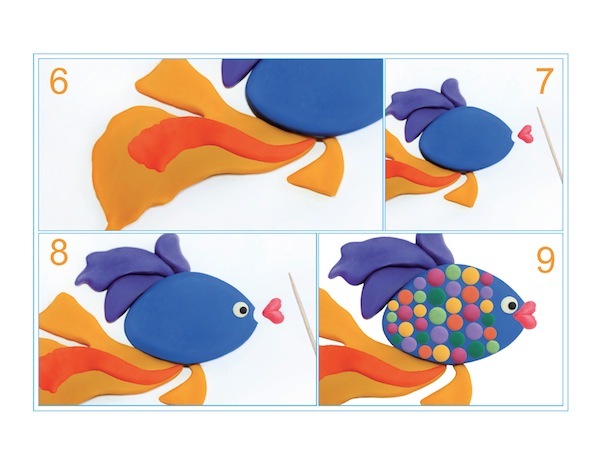 Today, we will make a beautiful fish from Plasticine. While you won’t be able to eat it, you can add it to the table with other symbols of the holiday. For this art project, you will need various colors of Plasticine or Play Doh. 1. First, we make the body of the fish. Roll a small ball from blue Plasticine. 2. Flatten the ball with the palm of your hand and flip onto the other side. 3. With the tip of your fingers, gently raise the edges on both sides. 4. Now make a top fin. 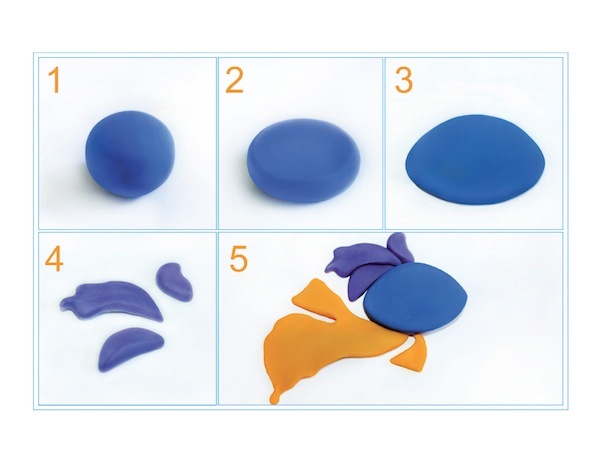 You will need three small pieces of dark blue or purple Plasticine. Using a toothpick, attach the top fin to the body of the fish. 5. Use yellow Plasticine to make a bottom fin. 6. Add an orange fin on top of the yellow one. 7. With the help of a toothpick, make an indent for the mouth. Later, using pink Plasticine, create heart-shaped lips. Attach the lips to the body. 8. Using white and black Plasticine assemble an eye, and add it to what you’ve already put together. 9. Our fish is almost ready! We just need to add scales. Make a small green ball and flatten it. Add this newly formed circle to the body. Now, create many of these circles and decorate your fish with beautiful and colorful scales. Instead of circles, you may create stripes or any other unique designs – and, of course, you can use any colors you want for any part of your fish. Art is a soul’s expression. 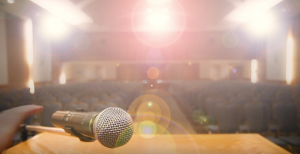 Imagine, inspire, innovate! Happy New Year to all young readers and their parents! Curly Orli and I wish you a year full of happiness and joy! Lana Lagoonca is a graphic designer, author and illustrator. At curlyorli.com, there are more free lessons, along with information about Curly Orli merchandise.